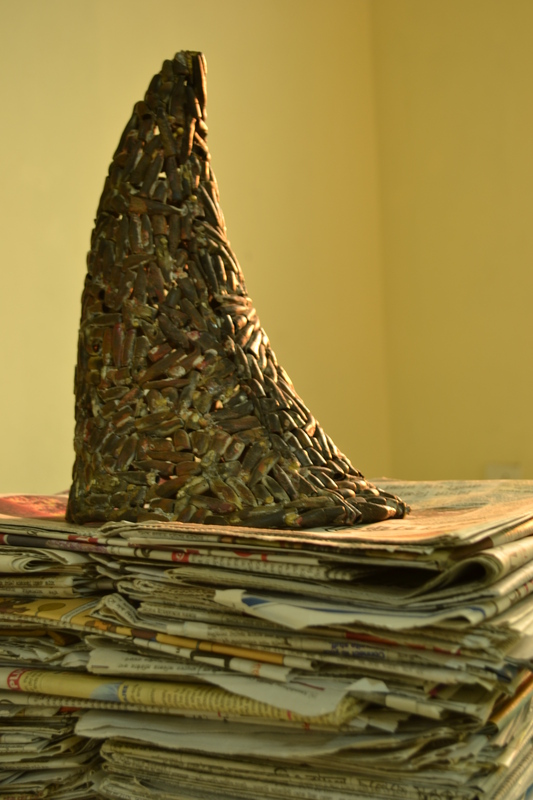 is a sculpture made from collective bullets. Its about how Rhino are been killed. Usually we see its written blow horn in heavy vehicles to maintain distance with the next one to be cautious. Posted in SculpturesTagged Alak Pathak, Arts, environment, horn, Rhino, sculptureBookmark the permalink.